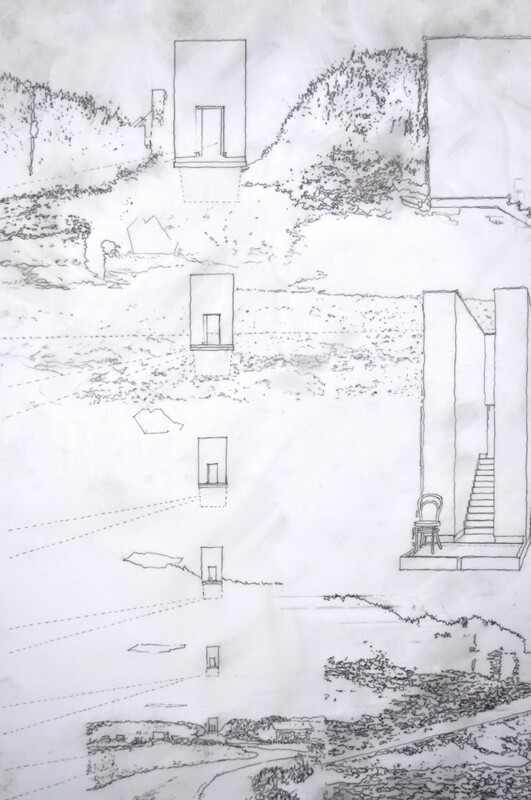 These drawings were intended not only as representational tools for the Salt Licks competition proposal, but as art works in their own right. 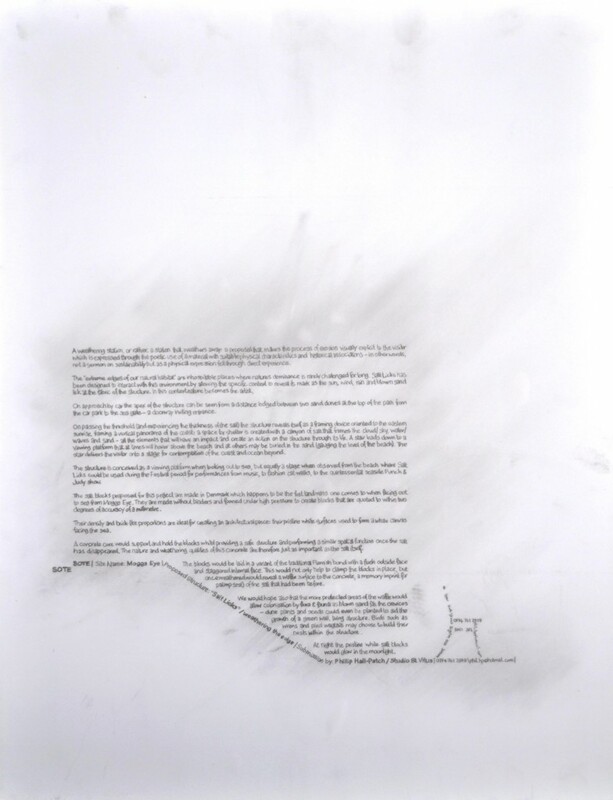 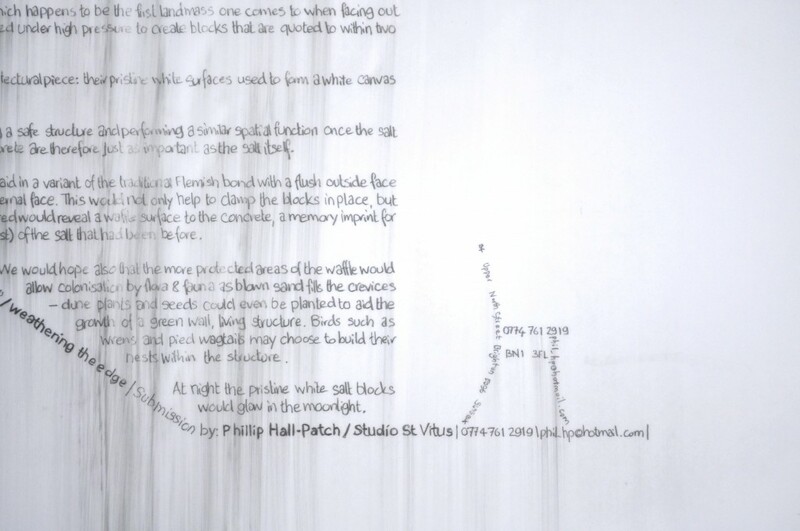 A written summary of the project was produced as a calligram whilst the hard-line and infinite accuracy of the initial computer drawings were subverted through being redrawn by hand. 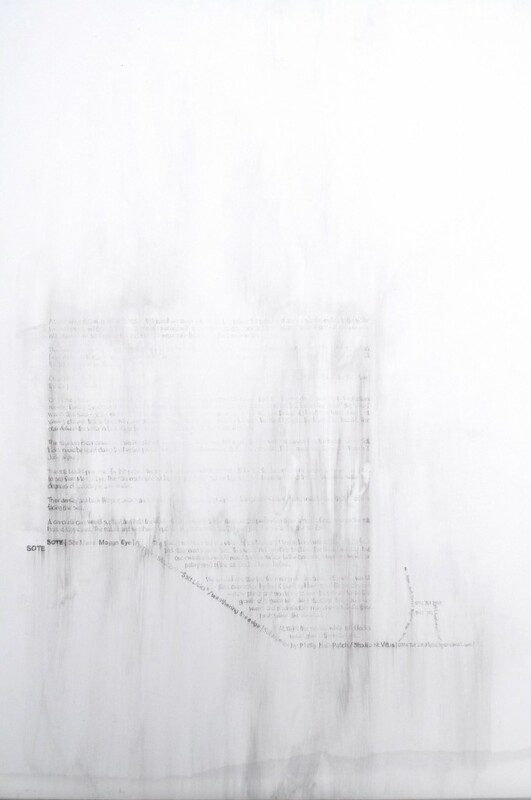 Inspired by Robert Rauschenberg’s “Erased de Kooning”, the drawings were produced using water soluble pencil’s before being left out in the rain to weather over a period of time.